Hitesh Steel Are One Of The World's Leading Suppliers Of Nickel Sheets, And We Can Supply Them In Various Sizes, Delivered On Pallets. We Are Pleased To Supply This Quality Product To Our Customers. With Vast Industrial Experience We Offer Our Clients High Quality Nickel Sheets That Are Used In Electrolysis, Ship Building, Oil And Gas And Drilling And Well Building And Other Construction And Architectural Industries. All The Products Offered By Us Have Excellent Metal Properties Together With Features Adding To Their Strength. These Are Available In Various Specifications As Per The Requirement Of The Customers. In Order To Meet The Diverse Needs And Requirements Of Our Clients From Different Industries, We Are Engaged In Manufacturing Of Nickel Sheets. These Are Manufactured From Top Class Materials Thus Providing Best Quality Products To Our Client At Most Reasonable Costs. We Also Provide Turnkey Solutions For These Sheets. Our Inconel Sheet Conform To International Standards And Fulfills The Requirements Of Various Industrial As Well As Commercial Sectors. Backed By Our Cutting Edge Technology We Are Able To Offer Inconel Sheet That Cater To The Exact Demands Of The Application Area In Various Industries. Used Across Application Areas Such As Engineering, Construction, Casting And Forging. Our Speciality Alloy Division At Hitesh Steel Offers A Full Range Of Duplex Steels In Sheet, Plate, And Round Bar Form. We Have Extensive In-House Processing Capabilities Which Make Us An Ideal One Stop Shop For All Your Requirements. These Grades Are Designed To Offer A Super Combination Of Heat Resistance, High Temperature Corrosion Resistance, Toughness And Strength, And Are Used In The World’s Most Technically Demanding Industries. Our Duplex Sheet Sheets Conform To International Standards And Fulfills The Requirements Of Various Industrial As Well As Commercial Sectors. Backed By Our Cutting Edge Technology We Are Able To Offer Duplex Steel Sheets That Cater To The Exact Demands Of The Application Area In Various Industries. Used Across Application Areas Such As Engineering, Construction, Casting And Forging. We Have Been In Manufacturing Of Duplex Steel Plates And Sheets With Our Main Mission Of Customer Satisfaction With Excellent Quality Products. Our Range Of Duplex Steel Plates And Sheets Are Available In Following Standards. We are the reputed manufacturers and suppliers of quality and precision finished copper sheets including copper hot rolled sheets and copper cold rolled sheets. These cooper sheets are perfectly matched up with the end applications such as crafts, embossing, manufacturing, electrical applications, building construction, transmission, power generation, industrial machinery and other similar applications. Other than this, the copper sheets also find application as electrical conductors, hardware use in electrical circuits, switch terminals, electrical contacts and other areas. 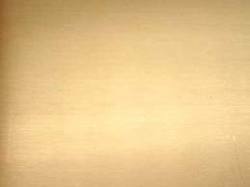 Hitesh steel specialize in offering a range of high quality copper sheets that can meet the requirements of various clientele. These copper sheets are fabricated with the help of pure copper to meet the specific requirements as per client specification. Available in varied thicknesses, these copper sheets are made in both commercial and electolytic grade. Hitesh Steel Currently Provides With Stainless Steel Sheets Made By World's Leading Mills. Hitesh Steel Is Enthusiastic At Serving Our Clients With Comprehensive Set Of Products Which Include 2B, BA, NO.1, HL, NO.3 And No.4 Finish. Hitesh Steel Possesses The Most Advanced And Complete Stainless Steel Processing Equipment In The World, Which Could Cut All Kinds Of Sizes, Bending And Provide Other Precision Processing Into Customer’s Demand. The Offering Products Could Be Used In Chemical Tank, Pipe, Medical Equipment, Food Industry, Construction Material, Kitchen Utensils And Automotive Hardware Etc. 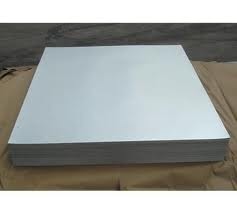 Stainless Steel Sheet GradeASTM / ASME SA 240 304, 304L, 304H, 309S, 309H, 310S, 310H, 316, 316H, 316L, 316 TI, 317, 317L, 321, 321H, 347, 347 H, 409, 410, 410S, 430. Hitesh Steel Provides A Wide Variety Range Of Monel Sheets That Finds Used In Various Industries Across The Globe. 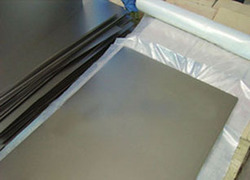 Manufactured From Quality Raw Material, These Monel Sheets Are Known For Its Unique Features Such As Tight Tolerance, Smooth Surface And Uniform. Monel 500 Is Used For Gyroscope Application And Anchor Cable Aboard Minesweepers. It Is Also Used For Propeller Shafts On A Wide Variety Of Vessels And Exhibits High Fatigue Strength In Seawater. There Is Also Application In Chemical Process Applications For Handling Of Organic Acids, Caustic And Dry Chlorine. Hitesh Steel Is A Titanium Supplier And Stocking Distributor, And Full Service Source Of Titanium Mill Products. We Supply Titanium Mill Products To The Metal Finishing Industries Including Aerospace, Architectural, Automotive, Biomedical, Chemical Processing, Industrial, Marine, Military, Oil, Tooling, Racing, And Others. Titanium ASTM B265 Commercially Pure Grade 1 Sheets From Stock, Thickness Starting From 0.5mm Going Upto 3.0mm In Pre-Cut Sizes Available. 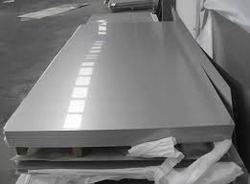 Commercially Pure Titanium Grade 2 Sheets UNS R05400 Werkst.Nr, 3.7035 Starting From 0.8mm Thick Upto 3.00 Thick In Pre Cut Sizes Available In Stock As Per ASTM Specification. Titanium Aluminium Vanadium Alloy (Ti, Al-6%, V-4%) Ti6Al4V Grade 5 Sheets ASTM B265 UNS R56400, Werkstof Nr. 3.7165 From Stock In Thickness Starting From 0.4mm Upto 3.0mm Thick, In Pre Cut Sizes Available In Stock. We Offer A Wide Range Of Hastelloy Sheets That Finds Application In Various Industries Across The Globe. Manufactured From Quality Raw Material, These Hastelloy Sheets Are Known For Its Unique Features Such As Tight Tolerance, Smooth Surface And Uniform Mechanical Properties. The Corrosion-Resistant Hastelloy Alloys Are Widely Used By The Chemical Processing Industries. The Need For Reliable Performance Leads To Their Acceptance And Growth In The Areas Of Energy, Health And Environmental, Oil And Gas, Pharmaceutical And Flue Gas Desulfurization Industries. The Attributes Of Hastelloy Alloys Include High Resistance To Uniform Attack, Outstanding Localized Corrosion Resistance, Excellent Stress Corrosion Cracking Resistance, And Ease Of Welding And Fabrication. The Most Versatile Of The Hastelloy Alloys Are The "C-Type" Alloys. Alloy C-276 A Versatile, Corrosion Resistant Alloy. Very Good Resistance To Reducing, And Mildly Oxidizing Corrosives. Excellent Stress Corrosion Cracking Resistance With Very Good Resistance To Localized Attack. C-2000 Alloy Combines Outstanding Resistance To Oxidizing Media With Superior Resistance To Non-Oxidizing Environments And Represents A True Performance Breakthrough For Chemical Process Equipment Applications. C-22 Alloy Is Particularly Resistant To Pitting And Crevice Corrosion; It Has Been Used Extensively To Protect Against The Most Corrosive FGD Systems And The Most Sophisticated Pharmaceutical Reaction Vessels. 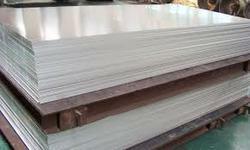 We Are Renowned Suppliers Of Alloy 20 Sheet. Our Team Ensures Quality Supply Of Superior Grade Of Alloy 20 Sheet Which Are Manufactured Using Latest Technology. Manufactured Using High Grade Raw Materials, This Alloy 20 Sheet Are Assured To Be Durable And Strong, And Offer A Long Service Life. Alloy 20 Was Designed Specifically To Withstand Sulfuric Acid. Its Nickel, Chromium, Molybdenum And Copper Levels All Provide Excellent General Corrosion Resistance. Restricted Carbon Plus Columbium Stabilization Permits Welded Fabrications To Be Used In Corrosive Environments, Normally Without Post-Weld Heat Treatment. At 33% Nickel, Alloy 20 Has Practical Immunity To Chloride Stress Corrosion Cracking. 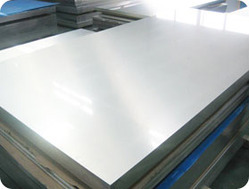 We offer to our clients a wide range of superior quality aluminum sheets to suit a broad range of manufacturing, transportation and industrial applications. Backed by the sound experience of varied aspects of the industry, we have been able to offer a range of aluminum sheets. All our products are developed as per the guidance of experienced quality inspectors in tandem with the norms laid down by the industry. These are extensively applauded by the customers for their durability, fine finishing, resistance against wear & tear and ability to withstand extreme temperature. 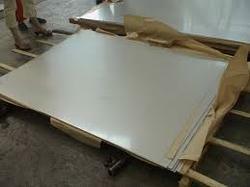 Our clients can avail from us a premium quality range of aluminum sheets. Manufactured using high grade raw material, these products ensures durability. Moreover, we also provide customized solutions to clients as per the specifications provided by them. Our products are highly demanded by customers as these comply with international quality standards. 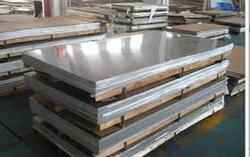 We supply aluminium sheet ranging from 0. 5mm to 3mm thickness. Our standard sheet dimensions range from 1000mm x 1000mm right down to 125mm x 125mm in many varying length and width permutations. Therefore, there will always be a size near to what you require without too much waste.